Originally painted as designs for a range of melamine plates, Live Wires NZ have published some of the paintings by Tanya Wolfkamp as a range of five square cards. 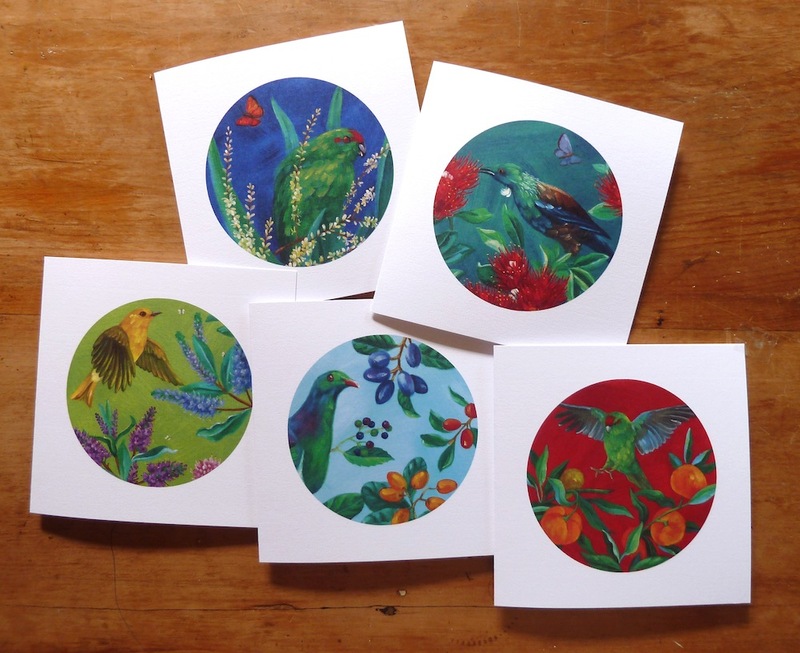 Printed on quality art stock paper these 15 cm cards are perfect for all occasions. Contact Live Wires NZ for all sales enquiries or to find a retailer near you. Contact us to buy the original paintings, They are 27 cm circles painted in oils on canvas.